Presence Interference is an interactive and immersive installation which illustrates an energetic and telematic system of communication between the human body and the environment. Each participant becomes both a transmitter and receiver, thereby creating a feedback loop of biotic data. 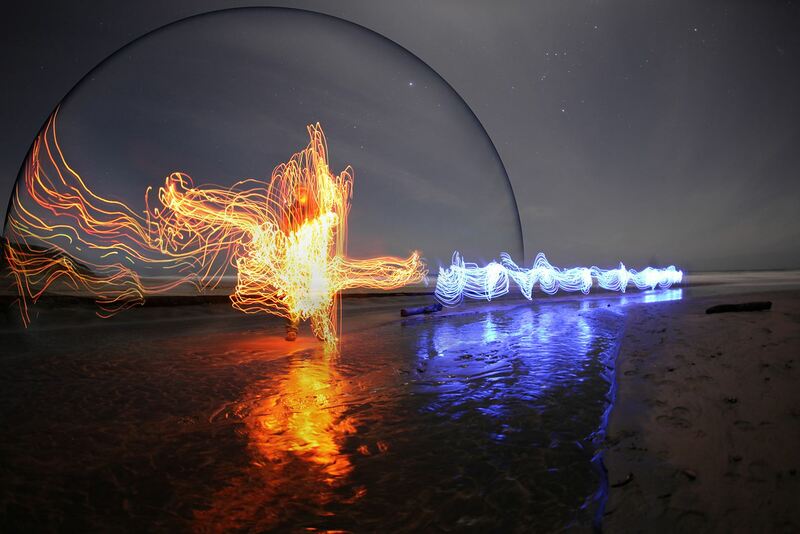 By wandering close to a geodesic structure animated by a 360 degree, long exposure, timelapse image, viewers trigger various changes in the projected ecology. Inspired by biophoton theory and technoetics, Presence Interference visualizes a relational light spectrum between living entities through an abstract narrative of a water cycle within California’s redwood forests and coastal landscape. A contemplative space emerges to investigate anthropocentric interference within the natural world. Carinne Knight explores the ephemeral imprints living entities leave upon landscapes by creating meditative spaces for reflection. As a digital artist and photographer specializing in 360° imagery, she integrates transcendental theories, ecological studies, and biotic relationships with conceptual art, physical installations, and virtual reality.